In FY18, a substantial profit of over `6,000 crore for the second straight year has helped the company claim the coveted ‘maharatna’ status. 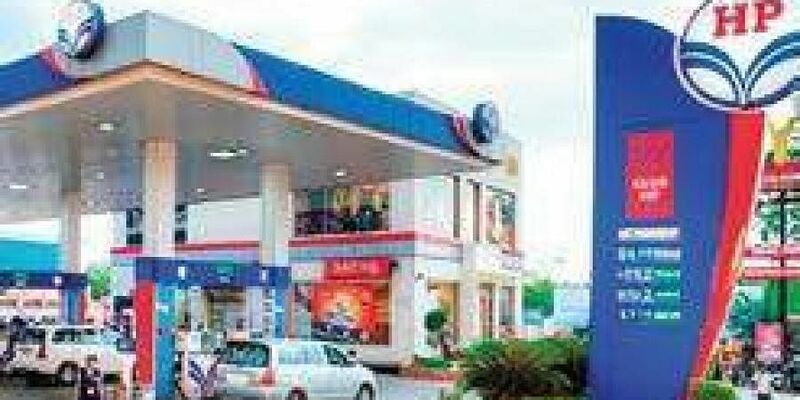 Hindustan Petroleum Corporation Limited (HPCL) is set to become the ninth company to join the Maharatna club —which would empower the state-owned refinery to be on par with its promoter ONGC on decision-making powers and become even more globally competitive. Officials say that HPCL had applied for the status in September last year and the department of public enterprises (DPE) is already working on it. In FY18, a substantial profit of over Rs 6,000 crore for the second straight year has helped the company claim the coveted ‘maharatna’ status. As per the eligibility criteria, which included a three-year track record of an annual net profit of over Rs 5,000 crore, a net worth of Rs 15,000 crore and a turnover of Rs 25,000 crore, HPCL is all good to wear the ‘maharatna’ crown. The status will ensure that the PSU enjoys significant operational and financial autonomy — allowing it to make equity investments to establish financial joint-ventures and wholly-owned subsidiaries, more power to raise debt from capital market subject to RBI approval and undertake mergers and acquisitions in India or abroad subject to a ceiling of 15 per cent of the net worth of the PSU and limited to Rs 5,000 crore in a single project. However, this might not be welcoming news for ONGC. More than a year after the state oil and gas explorer acquired 51.11 per cent of the government’s stake in HPCL for Rs 36,915 crore, HPCL has remained testy and disapproving of ONGC’s control. Despite the oil ministry’s repeated assertion that ONGC is the new promoter, HPCL has identified the President of India with zero stake as the promoter and ONGC with 51.11 per cent stake as a public shareholder in its public filings. The cold relations between the two is also learnt to have pushed the HPCL-MRPL merger plan to the back-burner. Maharatna status for HPCL may exacerbate ONGC’s bitterness on not being able to take business decisions for its subsidiary. 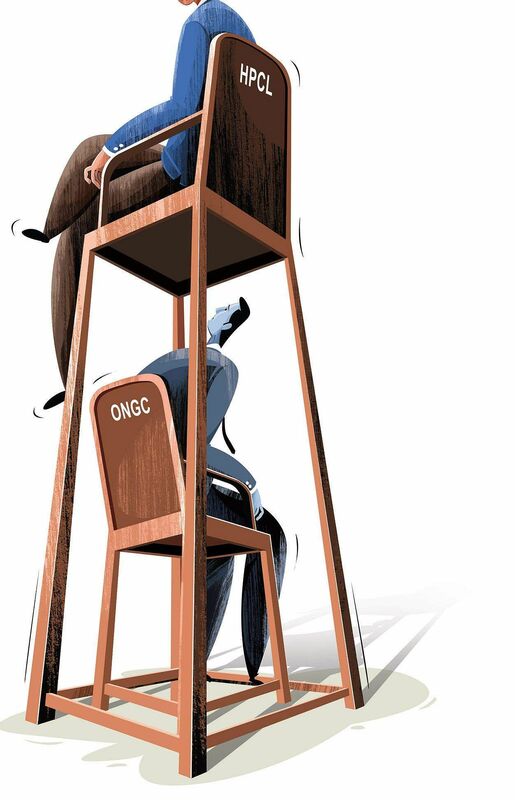 Notably, ONGC has just one member on HPCL’s board. Further, with HPCL not ready to recognise ONGC as its promoter, the latter risks losing the regulatory exemption from making an open offer to other shareholders of HPCL as part of the deal, said oil industry analysts. At the deal price, an open offer for an additional 26 per cent in HPCL could cost ONGC more than Rs 20,000 crore. More than a year after ONGC acquired HPCL for H36,915 crore, and despite the oil ministry’s repeated assertion that ONGC is the new promoter, HPCL has not identified it as such in its public filings yet. Owing to inventory losses and lower refinery margins against the backdrop of rising crude, the oil sector company reported an 87 per cent drop in net profit to H248 crore in the fourth quarter ended December. That compares with a net profit of H1,092 crore in the previous quarter. “We believe near term operational scenario remains muted with weakness in gross refining margin to persist and high capex to increase leverage for HPCL,” wrote analysts from IDFC Securities Ltd in a report. While the environment remains challenging and some of OMC stocks have seen brokerages cut price targets post poor December quarter earnings, HPCL is among the few in the sector which still looks attractive. “The outlook for the company would improve post elections with steady pricing power,” noted Emkay Global.